Why it matters: While Inno3D is not particularly well-known in the US, this may be a sign that the RAM market is finally letting up. After two full years of ever-increasing DRAM prices, driven skyward due to demand from smartphone manufacturers, 2019 is expected to burst the DRAM bubble thanks to overcapacity. This will allow new players to source their DRAM at more affordable prices and market differentiated niche products such as these. Inno3D, the Hong-Kong based company best known for its Nvidia-exclusive portfolio of graphics cards, has decided to expand its business interests and join the fray with its own brand of premium gaming memory. 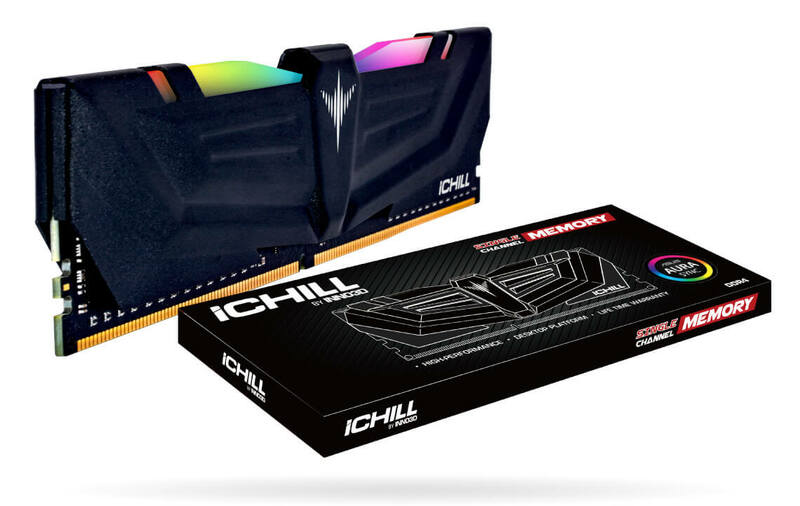 Marketed under the company's iChill range, Inno3D's RAM will come in DIMMs ranging from 4 to 16GB, DDR4 speeds of 2.4GHz to 4GHz, and latencies as low as 15CL. Putting to use its thermal design expertise, ubiquitously used throughout its graphics card line-up, Inno3D will equip the DIMMs with a unique heat spreader design to eke out every last droplet of performance. The DIMMs' heat spreader design will be enhanced by controllable RGB LED lighting (Asus Aura-compliant) for that extra level of customization. Inno3D also happens to offer a lifetime warranty on these products. “We have entered a new era of providing more system performance to the gamer and the demanding high performance addict” said Ken Wong, leading product manager at Inno3D. “Our memory products stand for a brutal gaming experience just as our graphics products and aimed to shock the gaming world with its high performance and adaptive design." We sincerely hope the so-called "new era" is one of cheaper DRAM. The first shelves to see Inno3D iChill memory will be Europe and Asia, says the company. In the US you're likely to find them on Newegg, when it arrives.